For several years now we have seen an increase in vintage items being used in wedding details and decor. We love coming across charming DIY ideas of using them. 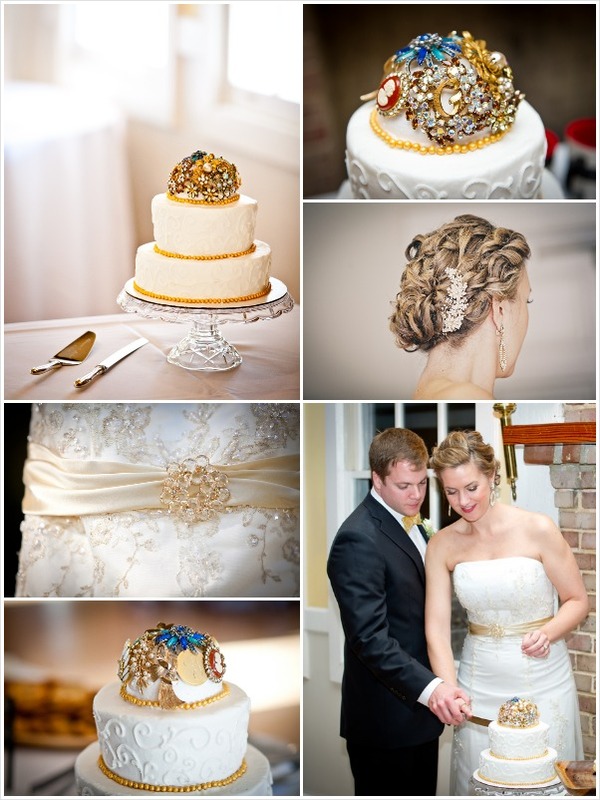 The vintage wedding brooch is what is the common thread in these inspiration boards. I love this unique vintage wedding brooch cake topper created with the use of different color and different shape brooches. 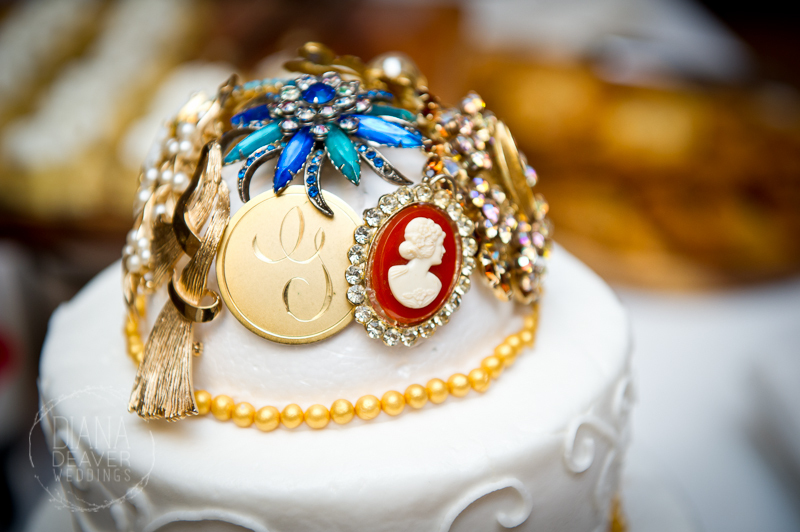 The elegant gold pearls make the cake itself look like a piece of jewelry. Wedding brooches used at the sash as well as a hair style enhancement add beautiful sparkly details to the bride’s wedding attire. Click here to see more images from this wedding. If you’re getting married in the winter and wish for a unique wedding bouquet you can create a whimsical and completely personalized bouquet that you can keep forever. This pantone marsala color bouquet is perfect for using as a table decoration for any future romantic celebration: Valentine’s Day, anniversaries. 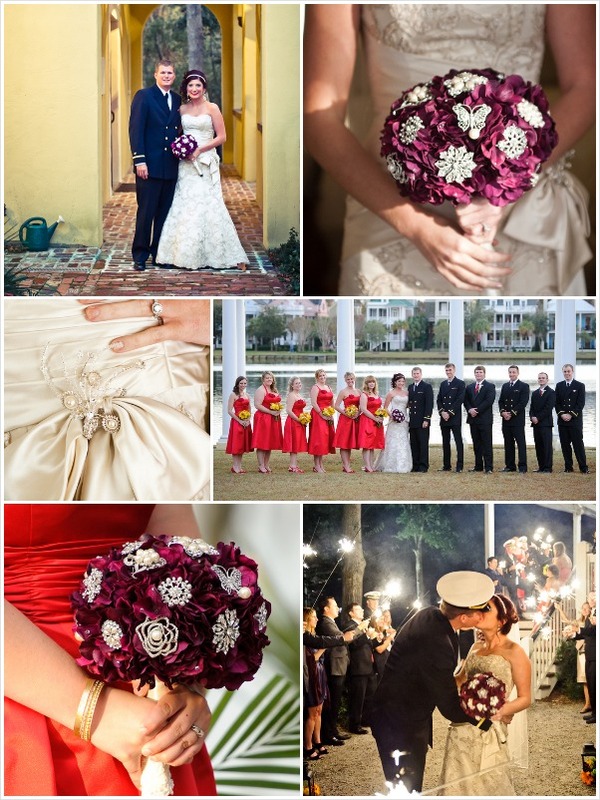 To see more photos from this wedding please click on our blog entry!